Either the gods have power or they do not. Now, if they have no power, why pray? If they do have power, why not pray for their gift of freedom from all worldly fear, desire, or regret, rather than for the presence or absence of this or that? Certainly, if the gods can cooperate with men, they can cooperate to these ends. But you might say: 'The gods have put these things in my own power.' Is it not then better to use your own power in freedom rather than show a servile and supine concern for what you cannot control? And who told you that the gods do not help us even to the ends which lie within our own power? At any rate, pray about these things, and you will see. One man prays: 'How can I sleep with that woman?' Your prayer is: 'How can I lose the desire to sleep with her?' Another prays: 'How can I be rid of that man?' You pray: 'How can I stop wanting to be rid of him?' Another: 'How can I save my little child?' You: 'How can I learn not to fear his loss?' And so on. Give all your prayers this turn, and observe what happens. In a similar vein as the "Gods or Atoms" discussion, there is the discussion on the topic Gods having power or not. Marcus goes down the branches and observes the dogma a Stoicism in the context of Gods having power or not. If they indeed have no power (over humans), then praying is worthless. But, supposing the Gods do have power and indeed cooperate with humans, then Marcus suggests how you should pray to them. Ask them to give you real freedom. 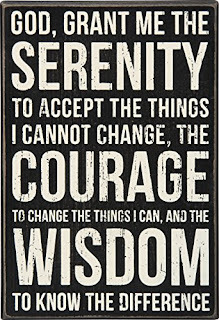 Freedom from passions, fear, regrets, and desires. These are the real slave-masters of humans, which if Gods do have power, perhaps they can help us humans gain freedom from them. Some people may reply that we humans already have the power to release ourselves from the slavery of fear, anxiety, passions and desires. Excellent! Then use that power. Show the Gods how good of a steward you are with your freedom. If all that is not clear, Marcus provides a couple of examples. One man may ask the Gods to help him in his quest to sleep with a woman. A prokopton (one who makes progress on the path of Stoicism) would not pray to sleep with a woman, but would pray for the freedom from the desire to sleep with her. Another person prays to the Gods that an undesirable person who is in their life, leaves (i.e. praying that their school teacher or boss moves away or perhaps gets in a car accident and dies). A prokopton would pray for the freedom from the desire to be rid of that person. And furthermore, I would add that they would also pray for wisdom - how they could learn from this undesirable person. Yet another person would pray for their little child who may be on the verge of death - that the Gods would save her. A prokopton would pray for freedom from the fear of loss. In each instance, a prokopton prays for virtue or greater power or ability to exercise virtue. 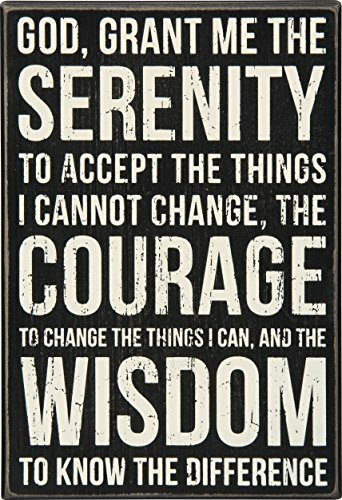 Lastly, the Serenity Prayer seen above, is a possible Stoic prayer regarding the discipline of desire and action along with the virtues of courage and wisdom.